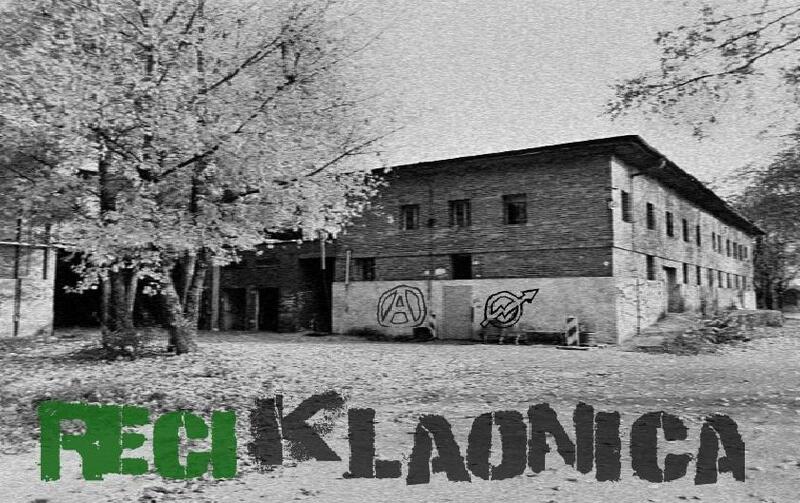 The story started on the 11th of February 2011 and it continues.The reciklaonica is a place for living but also for gigs, workshops and freeshop. Recently, cops came around, said it is unsafe and they have to evict the place. The city’s authorities, have already cut off the power supply of the old factory building. The squatters are in need of legal aid, temporary shelter for a couple of dogs in case of eviction, as well as physical presence of solidaritarians in the space, in order to resist the repressive operation. Let us remind that money-free spaces in Zagreb, like reciKLAONICA squat, are very few and let us also emphasize on the multicultural importance of the project, since many guests visit regularly the place from other countries and participate in its activities. An update at the 8th of octobre says, there are information that authorities plan to take windows and doors out of the building, eventhough they found out that the law is supporting the squatters as after 30 days it is not allowed to just take people out. Tagged with balkan, croatia, culture, eviction-alert, ex yugoslavia, reciklaonica, solidarity, squat, zagreb.